As it prepares for service expansion and new technology launches, Aquaterra Energy has secured a multi-million pound investment from EV Private Equity. The company provides riser systems, offshore structures and rental equipment to the global oil and gas industry. The deal is the first to be agreed following EV’s pledge to invest US$200 million in North Sea businesses with new technologies and high growth potential. The independent private equity firm confirmed that it was seeking to invest between US$10 million - US$40 million in each company. 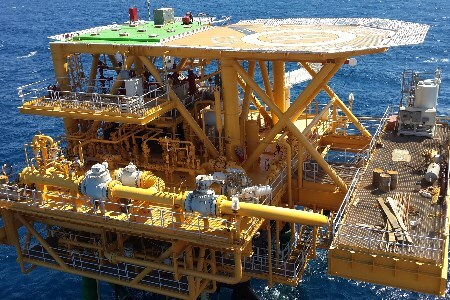 Aquaterra recently designed, fabricated and installed a new Sea Swift platform for PICO Petroleum Integrated Services, the lead contractor for the Amal field in the Gulf of Suez, offshore Egypt. In another multi-million pound contract, Aquaterra is supplying high pressure riser equipment for a subsea abandonment project in the central North Sea. The company is also seeing growing interest from operators in its specialist ‘WellStart’ service, which minimises third-party interfaces in early stage well construction, providing the expertise to overcome the technical and economic challenges in setting out the first phase of the well.